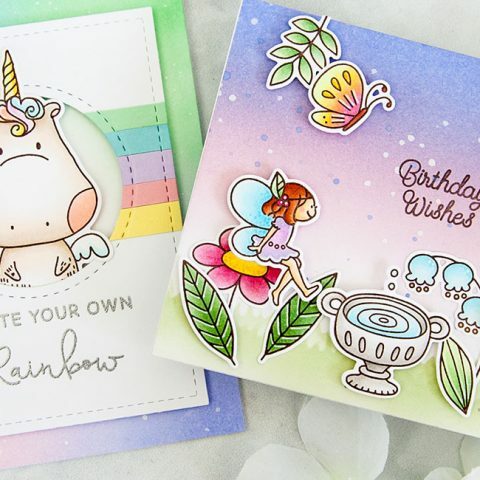 Rainbows are always the right choice — especially for celebratory occasions like birthdays! 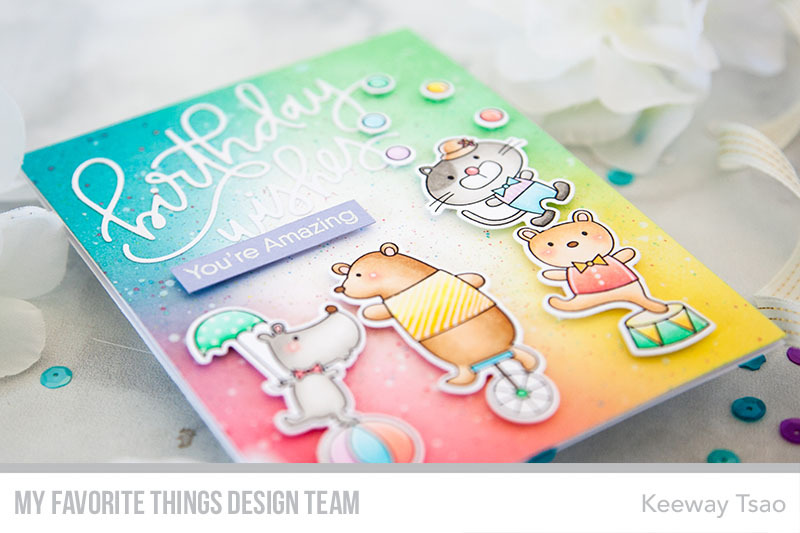 For this month’s My Favorite Things feature of the Birthday Project we are inspired by rainbows! 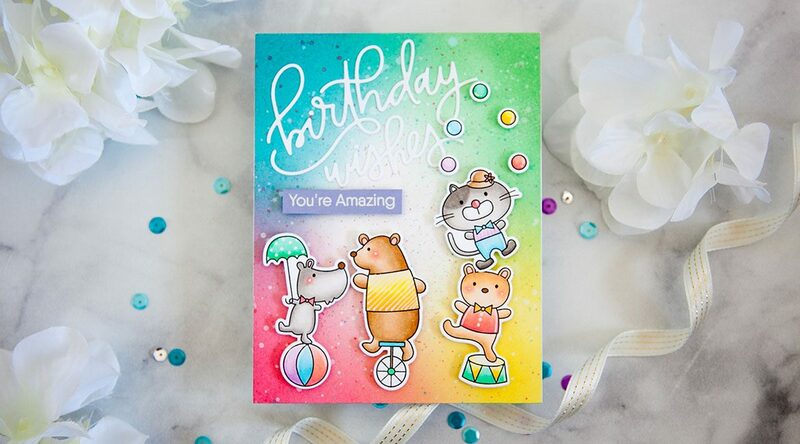 Rainbows always add a very fun and whimsical feel to a card, and I don’t think you can ever go wrong with it! 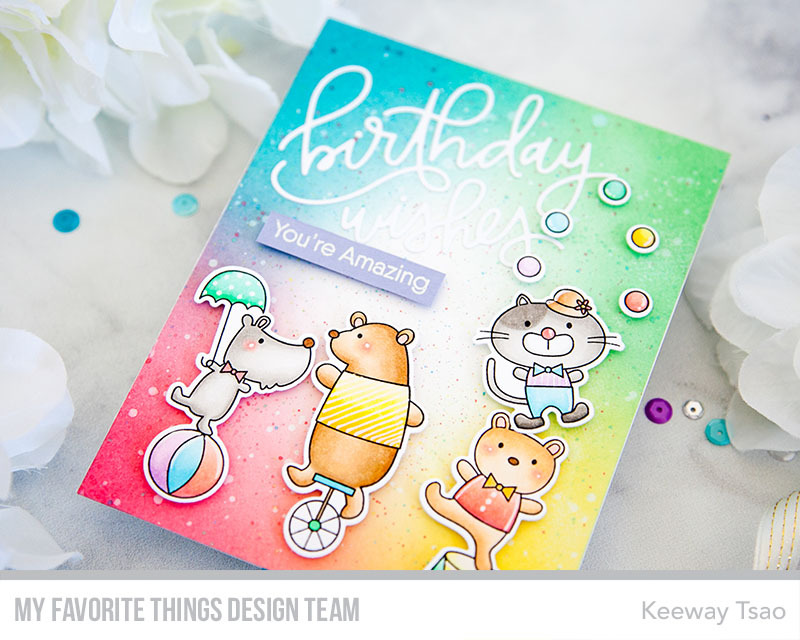 I decided to use this cheery color combo with a fun scene with these talented circus critters. 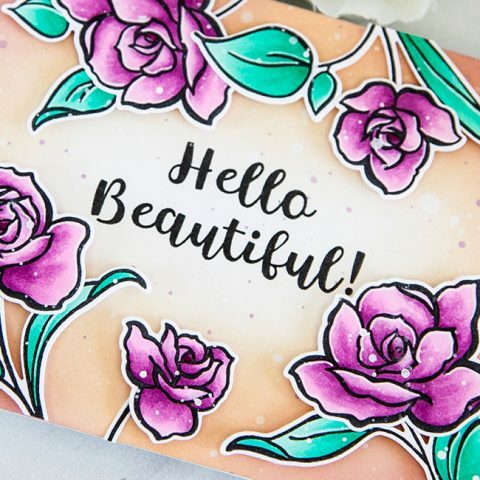 I started my stamping these images from Spectacular Birthday in Milk Chocolate hybrid ink and colored them up with copic markers. The images were colored with a rainbow theme. I also added some details to the images with a white gel pen. Then I used the coordinating Die-namics to die cut the images out. Now for the rainbow background! I love to ink blend and I picked out Broken China, Cracked Pistachio, Worn Lipstick, and Squeezed Lemonade distress oxide ink to blend in each corner. The overlap of these colors will complete the rainbow colors. I allowed the ink blending to lighten toward center to give it that glow. 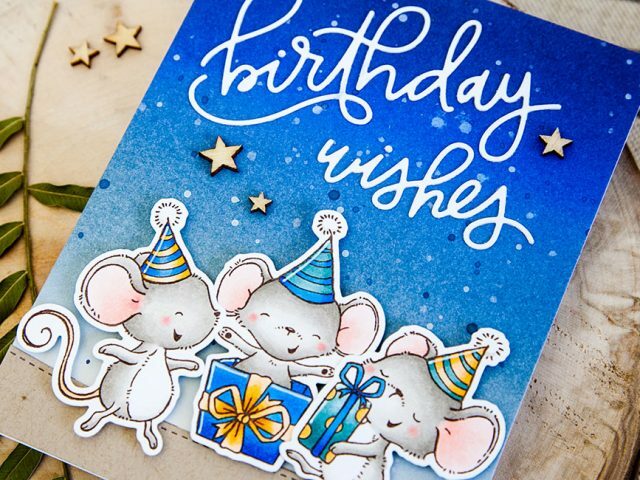 I die cut the words out of white card stock using the Birthday Wishes Die-namics. 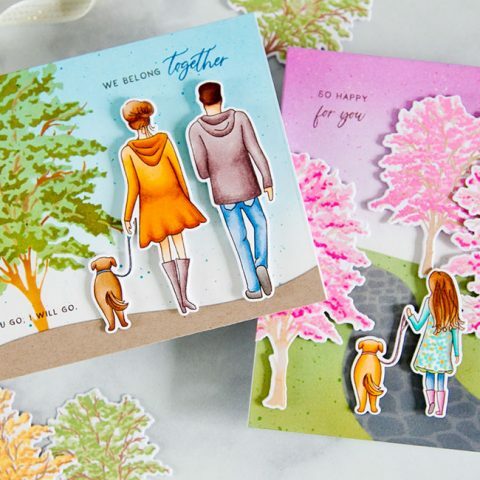 This die cut sentiment is on the top of list of favorites! 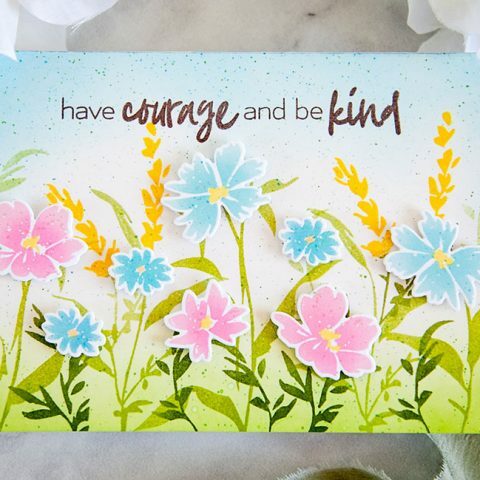 I added it to the top left corner of the card. 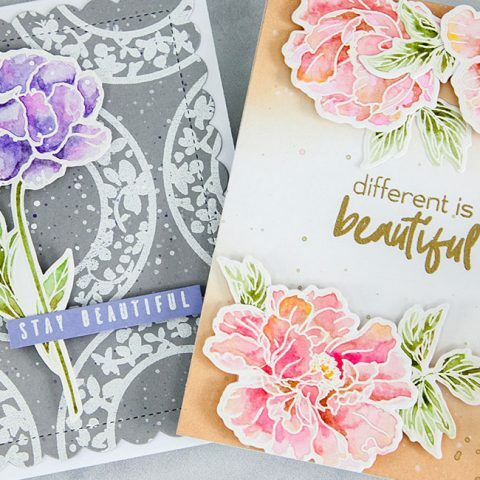 Right below it, I also heat embossed the sentiment ‘you’re amazing’ from the Spectacular Birthday set onto Wild Wisteria card stock. I trimmed it down to a thin strip with my paper cutter and adhered it to the card with foam tape. 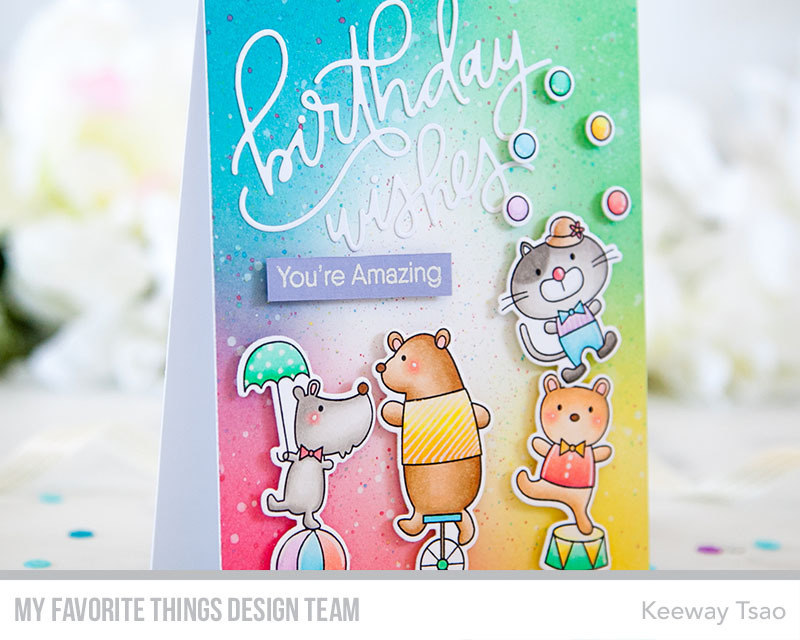 And finally, I added all my circus animals to the card below with foam tape. 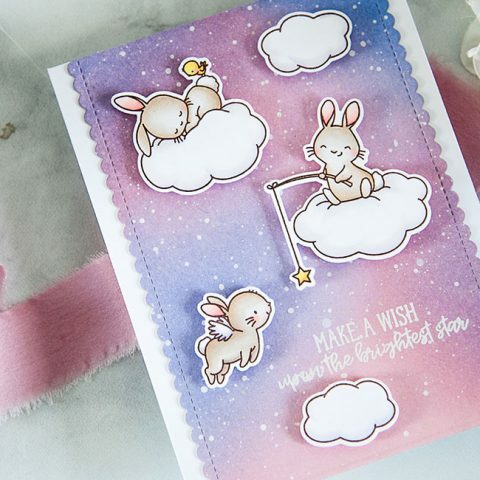 The rainbow colors really bring out the happiness of these critters! 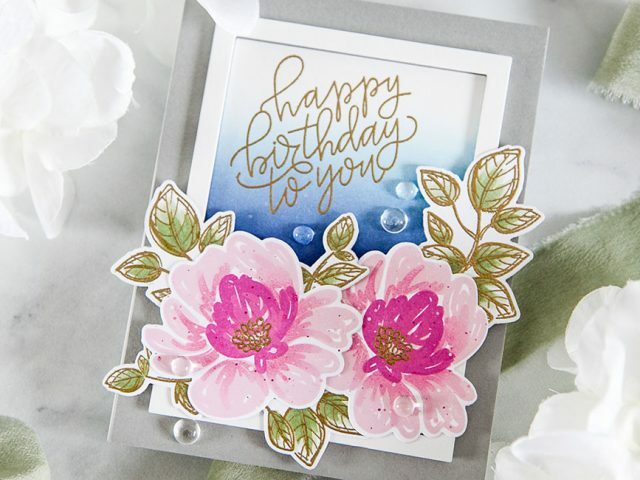 Be sure to stop by the MFT Card Challenges Blog for more inspiration from the team in this month’s edition of The Birthday Project. 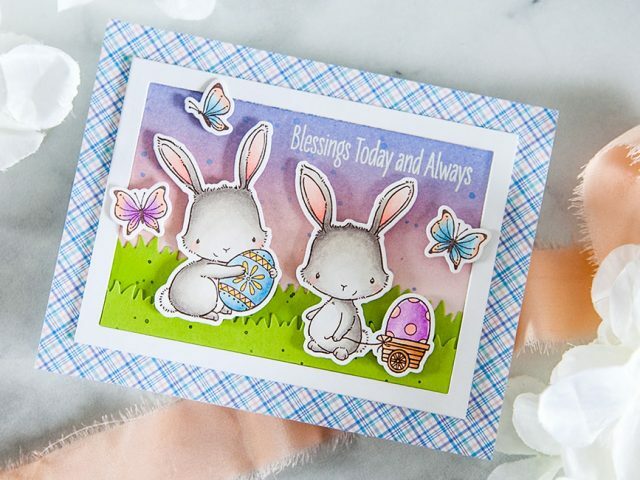 You can join us in this challenge for a chance to win MFT Cash on the MFT Card Challenges Blog. Happy crafting!